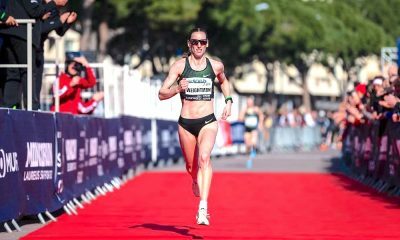 British masters were out in force to compete for road relay honours this weekend, while the Stirling Scottish Marathon and Newport Wales Marathon saw lots of competitive running. 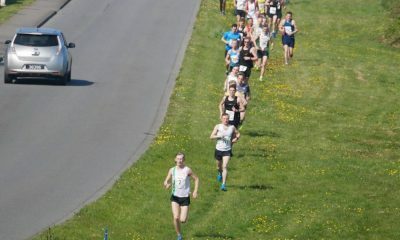 This weekend’s racing started on Friday night with the Mid Chesire 5K, the incorporated the England Championships. Aldershot’s Richard Allen won the men’s title, while Leeds City’s Stevie Stockton won the women’s race. A race report can be found here. Men’s V35 – Salford Harriers took the win in emphatic fashion by nearly three and a half minutes from Thames Hare & Hounds, who just edged out Tipton Harriers by six seconds for the silver medal. Salford’s six-piece line up of Bruno Lima, James Kovacs, Chris Livesey, Billy McCartney, Carl Hardman and Matthew Shaw were convincing winners on an unseasonably cool and wet April day at Birmingham’s Sutton Park. Salford’s Hardman was easily the fastest on the day with a superb 15:19 ahead of Tipton’s Stuart Hawkes’ 15:43 – who won the Brighton marathon just two weeks earlier – and Birmingham’s Dan Robinson, who posted a 15:53 result. Women’s V35 – Rotherham Harriers’ women have been making impressive strides forwards on both the senior and veteran level in the past 12 months, and the women’s V35 team took that another step up by taking the gold medal at Sutton Park, winning by more than two minutes from Derby AC, with South London Harriers clinching bronze 70 seconds behind. 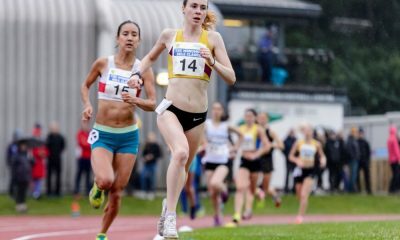 Rotherham’s Sarah Lowery, Natalie Harris, Fiona Davies and Jenny Blizard include a former GB international in Blizard and a veteran England marathoner in Lowery. Derby’s ever impressive Lisa Palmer-Blount was the fastest on the day with an 18:00 clocking. Men’s V45 – Cambuslang Harriers’ foursome were narrow winners in a total time of 69:32 ahead of Salford Harriers’ 69:41, with Thames Hare & Hounds never far behind in 69:55 overall. Cambuslang’s Chris Upson, Justin Carter, Kerry-Liam Wilson and Stevie Wylie made up the victorious gold medal winning team, while Leicester’s Mark Johnson ran the fastest leg on the day in 16:30. Women’s V45 – It was a much closer affair in the V45 races, with Winchester & District’s trio just taking the win from Tonbridge by a mere seven seconds. Dulwich were less than 90 seconds behind in third. Winchester’s Kathryn Bailey, Samantha Parkinson and Karen Rushton made up the winning team, while Tonbridge’s ever consistent V50, Maria Heslop, posted the fastest leg with a 18:36 result. Men’s V55 – South London Harriers won a tightly fought battle from Herne Hill Harriers, their third runner Andy Tindall completing the trio’s total winning time of 55:10 with the fastest leg of the day in 17:28. David Ogden and Gordon Hennessy made up the remaining winning team, while Cambuslang Harriers took the bronze on a successful day for their men’s teams overall. Women’s V55 – City of Norwich’s women pipped Burnden Road Runners to the gold ahead of Holmfirth Harriers with just over a minute separating each of the podium teams. Jane Clarke, Tracey Curl and Louise Wilkinson won gold for Norwich, with Clarke also enjoying the fastest leg of the day by more than half a minute in 20:48. Men’s V65 – Oxford City AC were convincing winners in 64:02, clinching gold from Blackheath & Bromley and Salford Harriers respectively. Oxford’s victorious team was led by Stewart Thorp, with Roy Treadwell and John Exley providing excellent second and third legs. Salford’s veteran star Stanley Owen ran an excellent 19:47 to post the fastest leg of the day. 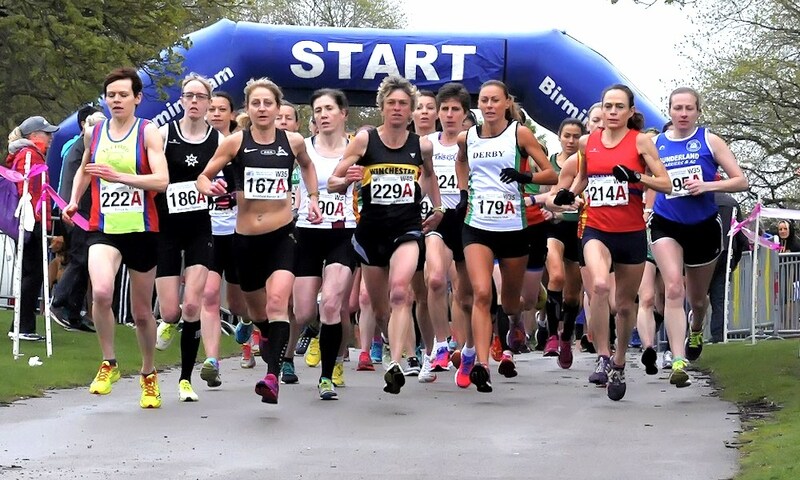 Women’s V65 – Only four teams made up the V65 competition, with Westbury Harriers taking the win by more than four minutes in 79:17 from Worcester AC and Hastings Runners. Worcester’s Liz Bowers was fastest in 23:47. Men’s V75 – All three competing teams unsurprisingly made the podium in the V75 competition, with Bingley Harriers taking the top spoils in 76:04 ahead of Exmouth Harriers and Sevenoaks AC. Bingley’s Haynes was fastest by more than two minutes in a very impressive 22:54. Chester hosted another competitive half marathon in the North West city, with Swansea’s Phil Matthews taking the win in a top class 67:59, ahead of Kent’s Russell Bentley, who ran an incredible 69:44 just one week after posting a 2:29:41 result in the London marathon. Derby’s Alex Pilcher was just seconds behind in third in 69:49. Northampton’s impressively consistent Hayley Munn was first lady in the women’s race in 78:06, taking victory from Southport Waterloo’s Amanda Crook and Lawley RC’s V40 Kim Fawke, who posted times of 78:14 and 81:54 respectively. Fawke just held off fierce competition for third place by two seconds from Higham Harriers’ Rachel Doherty. Stirling’s central position in Scotland ensured a healthy turn out to the annual Scottish marathon, traditionally held a week after London and, to much relief for those taking on the 26.2 miles, in much cooler conditions than the previous week’s English capital’s event. Central’s Michael Wright took the win in 2:29:19 ahead of Hunters Bog Trotters and Poland’s Patryk Gierjatowicz’s 2:33:10 and Insch Trail RC’s Tom Roche’s 2:33:38. Roche’s time represented a fine debut over the distance. Fife’s Alison McGill was first across the line in the women’s race in 3:02:35, which represented more than a ten minute PB. McGill was a clear winner from Dundee Road Runners AC’s Michelle Mackay, who posted a 3:05:01 result, also a significant lifetime best. Dunbar’s Rhona Anderson’s 3:09:56 made up the podium places, with a time that puts her 7th on the V50 2018 British rankings. Corstorphine AAC’s Michael Crawley won the men’s half marathon title in 69:33, while Edinburgh AC’s Sarah Brown won the women’s race in 1:26:58. James Carpenter and Natasha Cockram won the marathon titles at inaugural Newport Wales Marathon on Sunday in times of 2:33:32 and 2:44:58. In the 10k race Ieuan Thomas in 29:43 and Rachel Felton in 35:04 celebrated victories. A full report can be found here. Kenneth Nugent of Donore Harriers (Ireland) won the men’s race in 33:12, while Shaftesbury Barnet’s Victoria Pritchard was the first woman home in 36:06. Tamworth AC’s Sylvain Letendart took the men’s honours in Leicester crossing the line in 34:16, while Leila Armoush of Leeds City won the women’s race in 38:06. Jonathan Abel of West 4 Harriers was the highest placed British runner at the Hamburg Marathon on Sunday, clocking a PB 2:45:34, while London Heathside’s Leigh James from Wales was the quickest British woman in 3:06:17. Ethiopia Solomon Deksisa won the elite men’s race in 2:06:34, while Shitaye Eshete of Bahrain won the women’s race in 2:24:51. 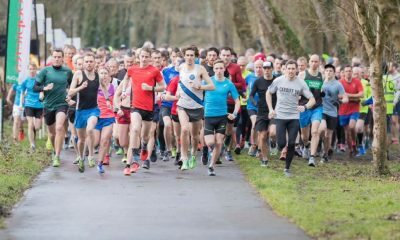 Adam Hickey ran 14:37 to record the quickest time across the UK at parkrun once again, while Jenny Nesbitt ran the fastest women’s time in 16:47. This weekend’s top 10 men’s and women’s times can be found here.